Weddings in Tuscany. If you are looking for truly memorable location for your wedding or vow renewal, beautiful Tuscany or its surrounding areas may be the place for you. Casa Tuscany works with a specialist team of local partners with extensive experience in managing all aspects of your “big day” and will take care of everything from the legalities, logistics and location to the catering and accommodation. If you are thinking of celebrating your wedding or renewing your vows in the Italian sunshine, here are a few facts you might find useful. Catholic ceremonies are usually performed in a Church and seldom in private locations. They can only be celebrated when either the bride or the groom are Catholic. Italian priests may perform both a Catholic and civil wedding ceremony if all the legal paperwork is provided. Catholic ceremonies can be arranged in beautiful ancient churches in historic cultural centres or small chapels throughout Tuscany. Our partners will advise you on the correct paperwork required by the Roman Catholic Church and by the local authorities in Italy according to your nationality. A month’s notice is the absolute minimum to give the priest and bishop in Italy time to review the paperwork sent by the bishop of your city of residence. It is also possible to perform Protestant Wedding Ceremonies in Anglican churches with English-speaking priests such as St. James’ or St Mark’s in Florence. For those who do not wish to hold a formal civil or religious wedding with all the legal paperwork, a blessing may represent a beautiful alternative. The blessing is not legally binding as it is merely symbolic and no paperwork is required. It is carried out by an English speaking officiant and can take place anywhere as there are no restrictions for any couple who has already had a civil ceremony either in Italy or in their country of origin. The perfect settings for this ceremony are castles, villas, Italian gardens and parks and of course the villa where you are staying and having your reception. Our partners will help you choose the location that meets your needs and caters with your taste in order to make your wedding day the one you have always dreamed of. Magnificent castles in the Tuscan countryside, ancient palaces in Florence or Siena, luxury hotels in cultural art cities, exclusive Relais, charming farms and villas may be the perfect setting for your big day. Follow our link here to see a selection of the luxurious properties that can be rented for your wedding. With their extensive expertise and knowledge of the area, our partners can help you select the most beautiful and romantic locations in Tuscany. Even if you choose to have your reception in your private garden, they will give you creative ideas to make your wedding day unforgettable. Working with highest quality caterers, our partners will help you create the perfect menu for you and your guests based on your personal tastes and on the Tuscan traditional cuisine. We have a wide range of beautiful properties, ideal for accommodating you and your guests. 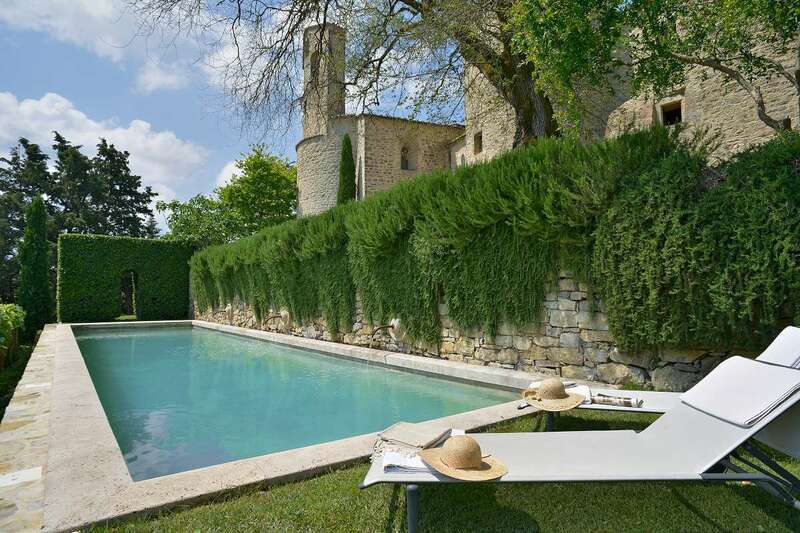 From luxurious villas with private pools, to characterful restored farmhouses, to impressive castles… the choice is yours. See below for just a few examples. 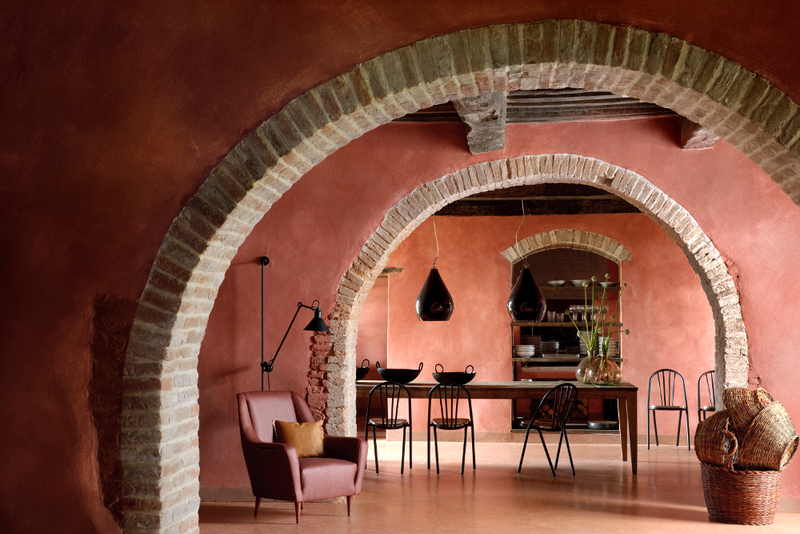 R001 – Castello di Fignine – On a dramatic Tuscan hill top, luxury accommodation for between 12 to 34 people in an 11th century castello with a restaurant, theatre and chapel. Sleeps up to 34 people. R1003 – Villa Colombaiolo – n the Tuscan countryside, bright, airy and beautifully finished villa with great outdoor spaces for alfresco dining, an enclosed garden, lovely pool, tennis court and saun. Sleeps up to 17 people. R1006 – Villa Tatti – With views over the rolling Tuscan hills to the sea, beautiful restored villa and stables set in landscaped grounds with an amazing infinity pool. Sleeps up to 24 people.